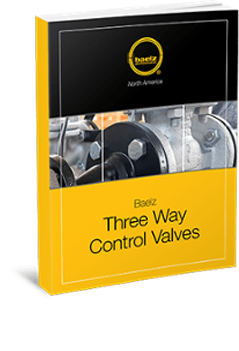 2-Way Valves | Baelz N.A. 2-way valves are components that can help you save energy and money. 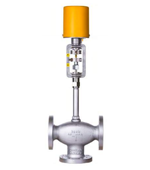 These valves have an inlet and an outlet port, and are found in basic on/off applications as well as variable process flow systems that experience changes in temperature, flows, and pressures. These valves can lower operating costs by reducing absorbed pumping power and by running heating and cooling systems under variable speeds. 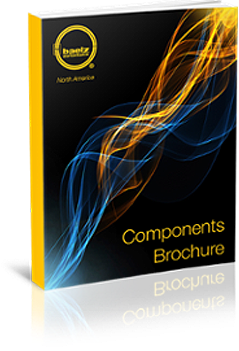 Baelz ANSI ISA-Certified Valves offer a complete line of actuator solutions, with emphasis on two major types: electric and pneumatic. Read more about our new product: E65 Model Electric Actuator. For some chilled or hot water applications, the 2-way valve is the ideal solution; with peak effectiveness occurring when the valve operates at 30% - 80% open. Operating the valve in this range will extend the life of the valve and help prevent damage to the valve. An excellent option for shutting off or modulating a single source control of temperature, flow, or pressure. 2-way valves feature two ports — an inlet and an outlet port. 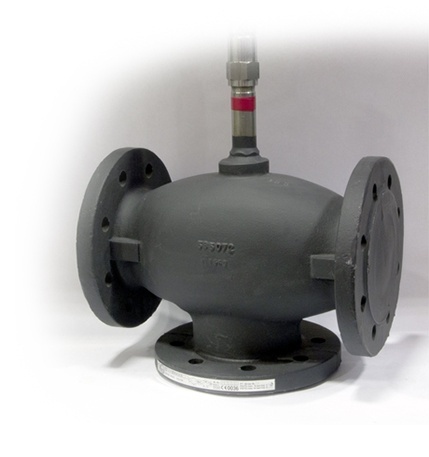 These valves are ideal for heating and cooling hot oil, water, and steam applications. For example, if your operating temperature is at 300 °F, but you only want it to be at 250 °F, a 2-way valve can help make that adjustment to the flow using sensors and controllers, which will allow the actuator to open the valve and ensure that the temperature setpoint is met. Whether you’re considering using a valve for basic on/off applications or variable process systems that experience changes in pressure, temperature, and flow, consider working with 2-way valves; not only do they allow for enhanced efficiency, they are also built for high usage and long service life.